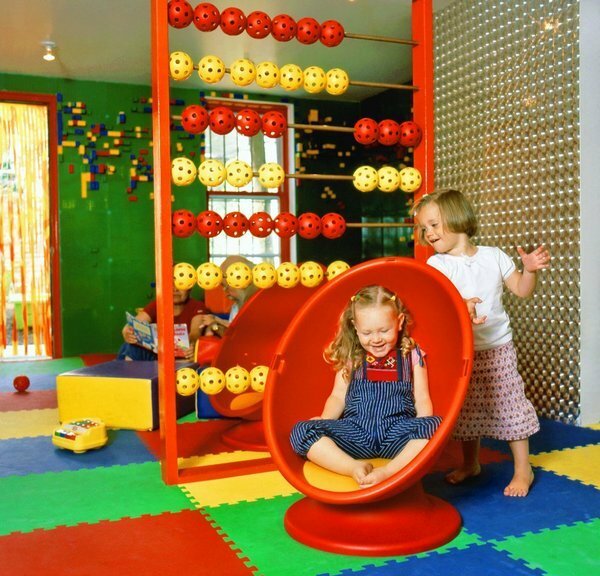 Play space at a premium? Take it to the wall. Lena Seow, Vrinda Khanna and Suzan Wines of I-Beam Design came up with this simple but brilliant design- a wall made of Lego base plates. 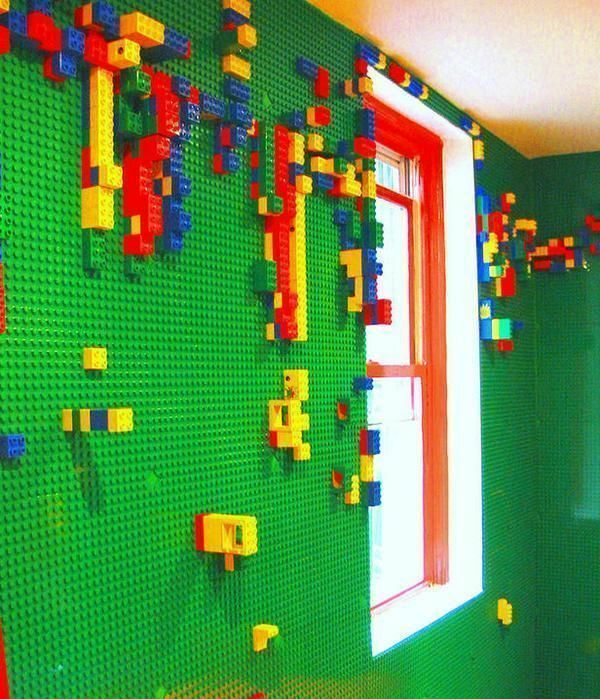 The Lego wall is part of I-Beam’s design for Café Boobah, a café specifically designed for children and their families in Brooklyn, New York. 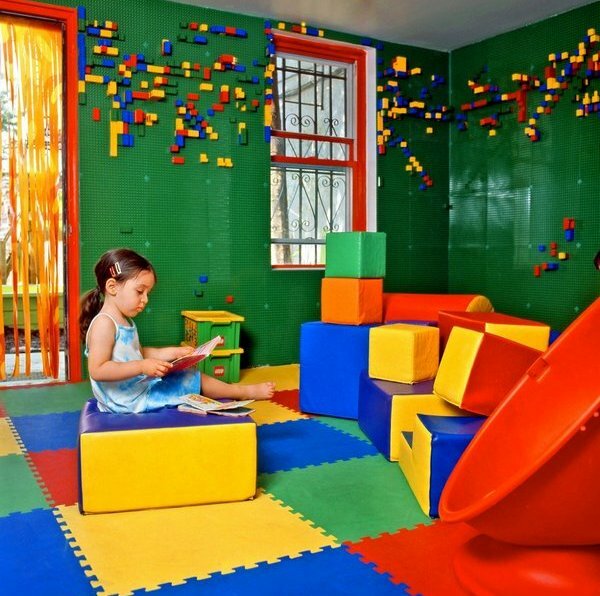 The café’s ‘Lego lounge’ includes floor to ceiling Lego boards allowing every surface to become a play space. 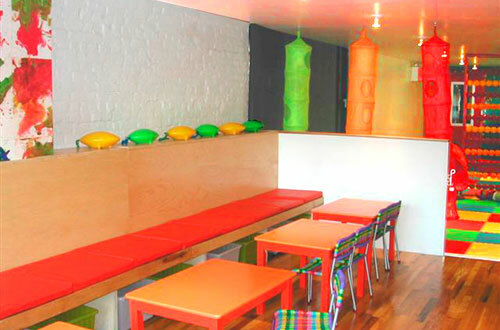 The room also features small cube-shaped pillows, adding to the building adventure.